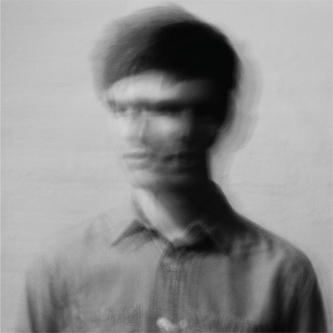 Capping a very special year for James Blake, R&S drop the highly anticipated 'Klavierwerke', his most refined and sombre transmission to date. While his previous 12"s were defined by their unstable and unique sense of soul, these tracks have a more esoteric, modern classical air to them, clearly reflected in the monotone artwork and centre labels. It's like chamber music for the post-dubstep crowd, utilising lofty meditations on the techniques and feelings gleaned from the style, distilling their essence from a removed and considered standpoint. The title piece feels torn between wanting to be there, in the dance, and longing to be somewhere else entirely, sequestered in dancefloor solipsism, shutting out surroundings until rhythms are worn down to the faintest flickers of filtered drums creating a richly woven blanket in which to hide oneself from the world. 'Tell Her safe' is a little more optimistic, focussed on Blake's innate rhythmic intricacies and soul-burning chords, while 'I Only Known (What I Known Now)' slips back into that rarified sense of autumnal English melancholy, dappled with watery piano keys and deploying moments of reflective silence to stunning effect. Redressing the balance 'Don't You Think I Do' offers a spurt of tormented internal funk, making a brief but lasting closing statement. Held up against everyone else out there right now, this record is just essential.